On 11th August 2017, the Mayor of London Sadiq Khan launched a consultation period for the draft London Environment Strategy. The strategy consultation period runs until 17th November 2017 and both individuals and organisations can respond. 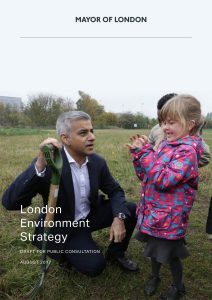 You can read the strategy document and respond to the consultation at www.london.gov.uk.